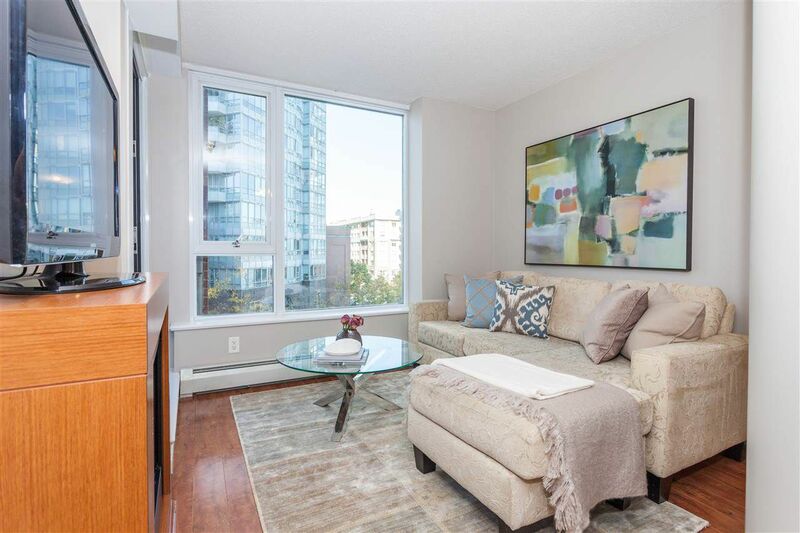 URBAN LIVING AT ITS BEST - this fully updated, spacious 1 bed/den + parking offers excellent finishings and a functional layout. Recently painted, the suite has had many upgrades: new SS appliances, carpet, laminate floors, blinds and light fixtures. The quiet, oversized balcony is perfect for an after work cocktail with friends. Superb building amenities - 80ft lap pool, sauna, Jacuzzi, gym, amenities room and rooftop garden. Enjoy your "Crosstown lifestyle" with convenient transit, theaters, shopping, restaurants, concerts, sport & great parks. Chinatown, Gastown and the Olympic Village are just a short stroll away. Rentals and pets are welcome. A Must See! OPEN HOUSE: Oct 8th, 2pm-4pm.